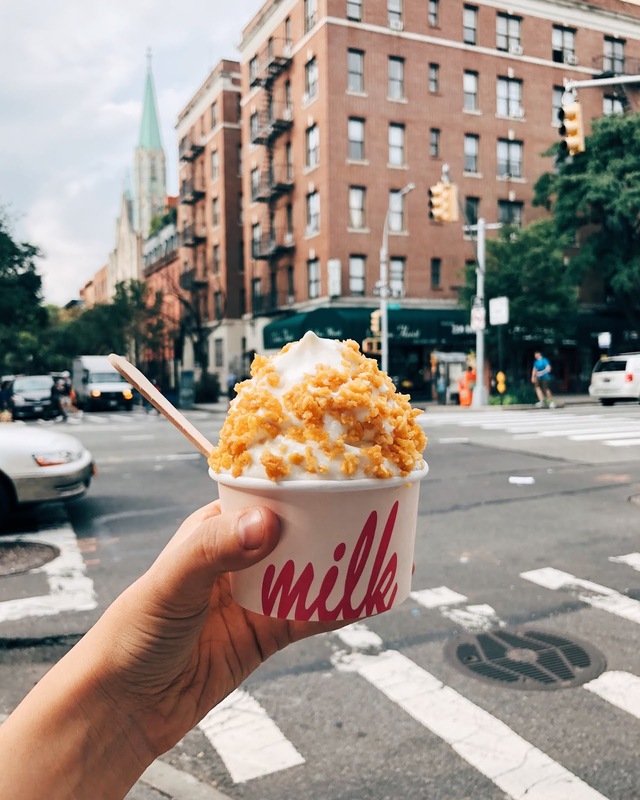 One of the main reasons I was excited for our trip to New York, was simply because of all the food. 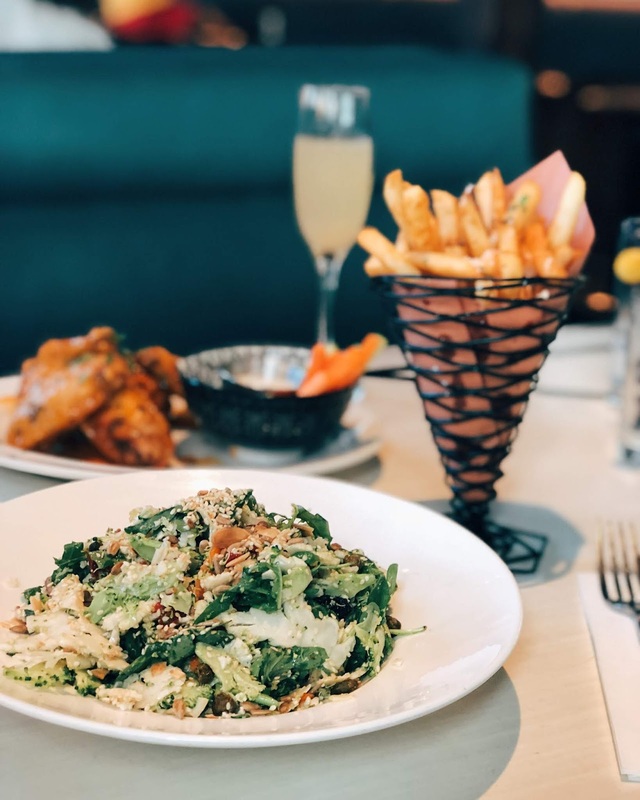 There were so many places that we'd racked up on our favourites list, that we debated whether it was possible to brunch twice a day, followed by a late lunch and then an even later dinner. And snacking in between. 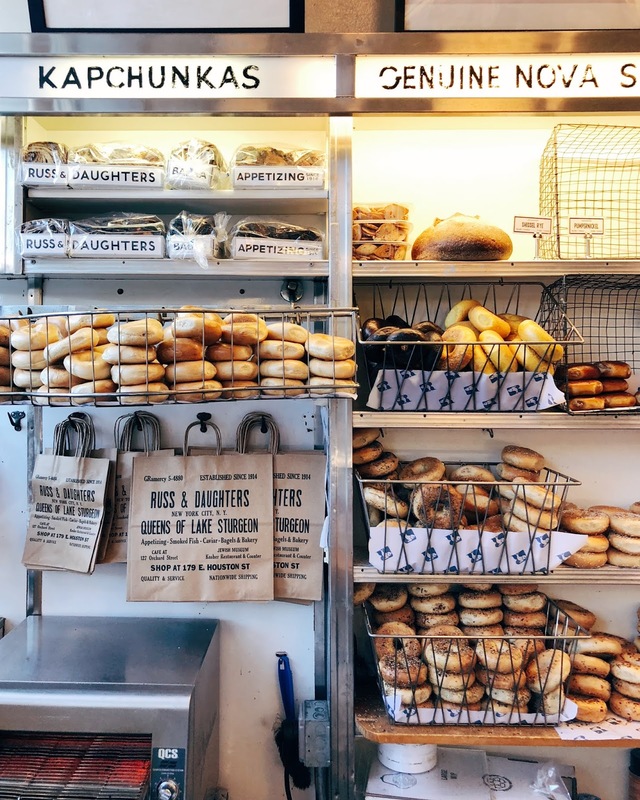 If we'd opted for breakfast, we tended to grab a snack instead of lunch, saving ourselves for dinner, or having a breakfast snack and a bigger lunch. Basically, we covered half of what we wanted to do. But what we did cover was delicious, and would 100% recommend you checking them out. 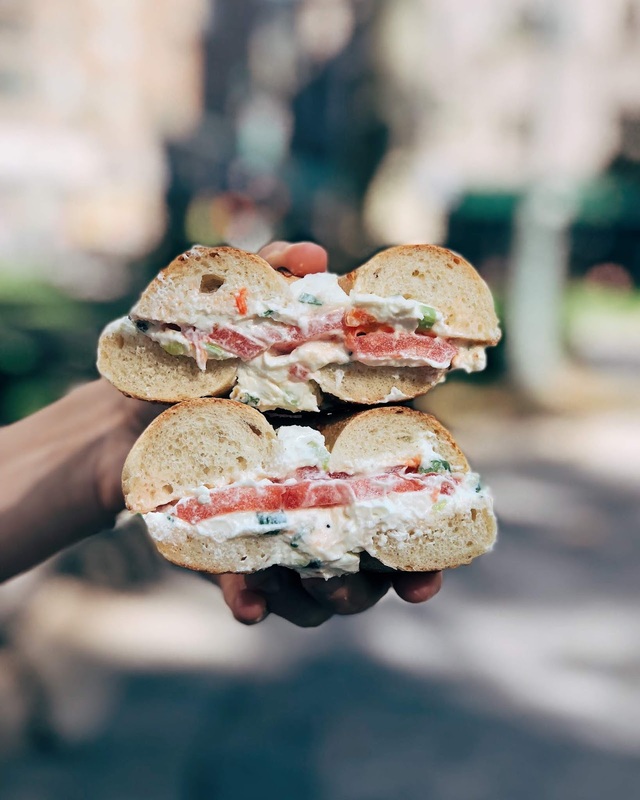 Russ & Daughters - Now, I'm no salmon and cream cheese fan, but that didn't stop me really wanting to try out Russ and Daughters - after all, bagels are the thing of NY right? Prepare for it to be busy in there, with a huge range of folk - some buying salmon for a big feast, others wanting to grab a bagel before breakfast, and then us, the tourists. Actually, it's not that touristy at all, which is kind of the beauty of this place. Chloe opted for The Daughter's Delight, and it delighted for sure, and I went for tomato and onion cream cheese on a garlic bagel. Because if there's garlic available for breakfast, I am all about it. And yes, it was one of the best bagels I've ever eaten. Messy. But very very tasty. Egg Shop - If you'd asked me last year about my view on eggs, I'd tell you that I merely like them in cakes. But lately, I have a little more time for them. And so I was interested with The Egg Shop. 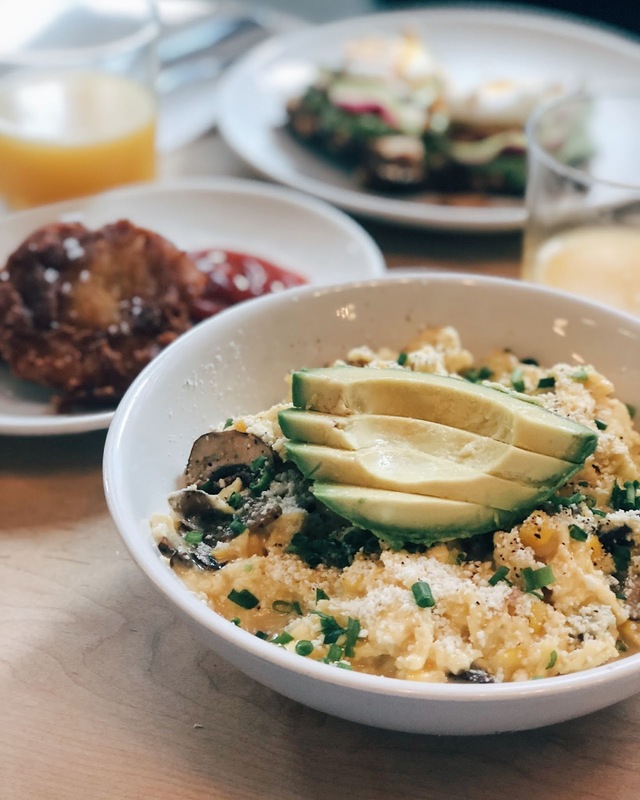 After debating for what felt like years, I settled on the Scrambled Egg bowl and a bowl of scrambled eggs it was - as in, we're talking maybe 8 eggs used?! Topped up with mushrooms, parmesan, herbs and avocado it was a pretty delicious way to start the morning. 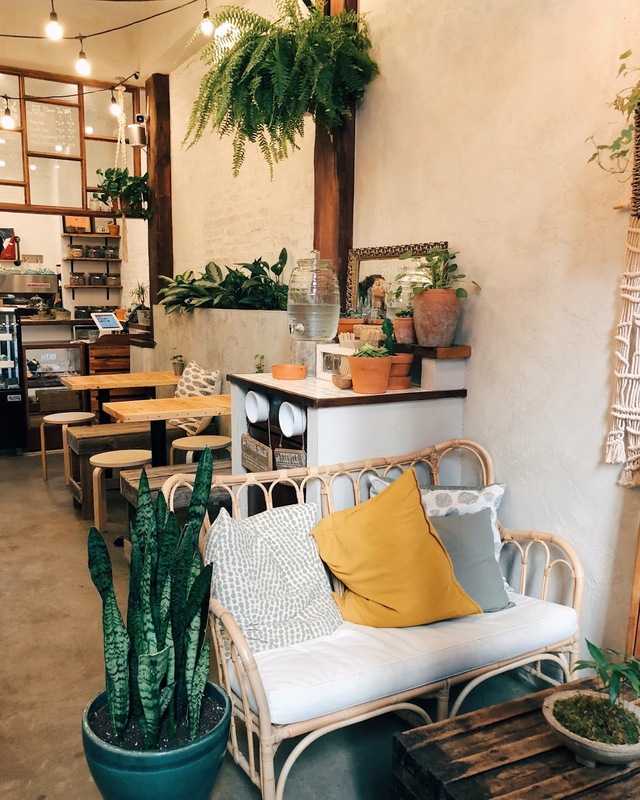 And with gorgeous interiors to match, it's a lovely little place to just sit and catch up with your friend (whilst letting your huge egg consumption settle in your stomach!). Wanderlust - This might be a pretty bold statement, but I think Wanderlust was actually my favourite places of all. I think (oh, I mean they were all good, but this was just another good). 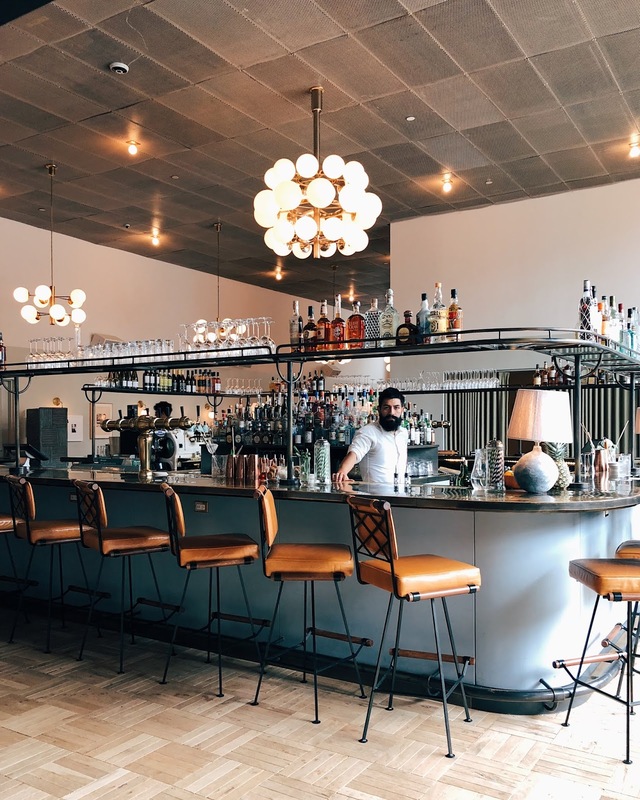 We headed here for a very late breakfast or an early lunch, if we were trying to make ourselves feel better for ordering Mac & Cheese and Baked Alaska at 11.30am. The interiors are absolutely beautiful, and I feel this place is still so undiscovered, which is maybe why we loved it even more. 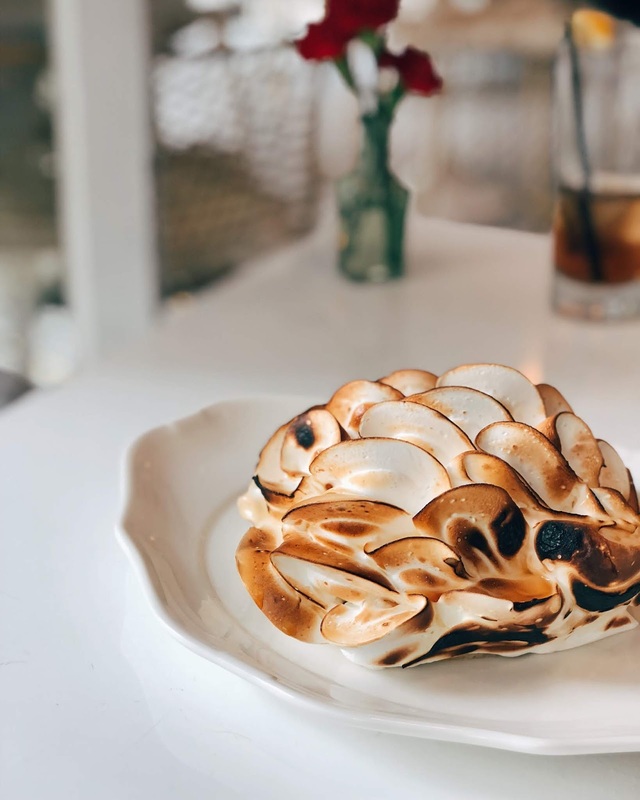 But actually, the winner for me was seeing the Baked Alaska on the menu - reminding me of my childhood.So yes, ordering dessert for breakfast is totally allowed when it's here. Because Wanderlust is all kinds of wanderlust. The Butchers Daughter - I'd seen The Butchers Daughter about a lot on Instagram, which definitely explained the huge crowds that come here. And I also see why they come here (I mean, I'm all about the plants), because the food is good. Like really good. 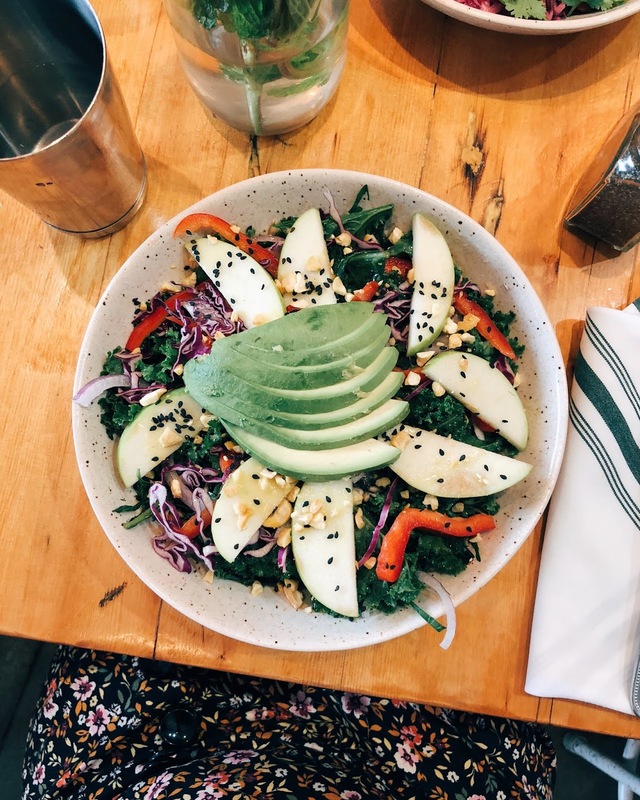 It's healthy and full of flavour, and for us, it was the perfect lunch to welcome us to the city. Also, who doesn't just love a colourful salad?Plus, I totally had a thing for the hanging plants over the counter. Honestly, the places here have nailed their interior. 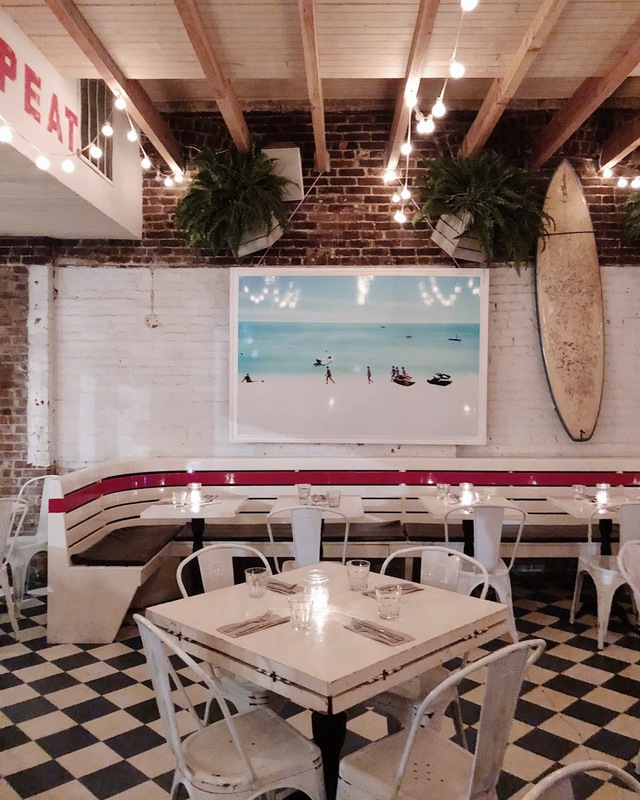 Salvation Taco - We came across Salvation Taco when browsing for rooftop bars, and I'm so glad we did. It wasn't somewhere on our radar, and it's not really a food place up on the rooftop, but actually, the two choices of tacos that they offer (chicken or mushroom), were insanely good. 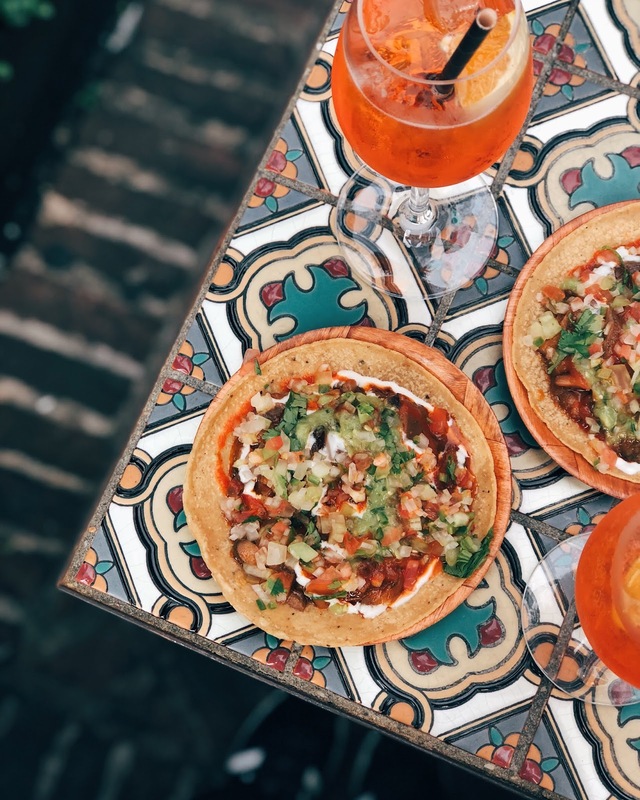 We ordered only one each as a little snack before dinner, BUT I'd happily have munched away on 50 of these (whilst drinking my Aperol obviously). Also whatever they did with the salsa, was a winner. 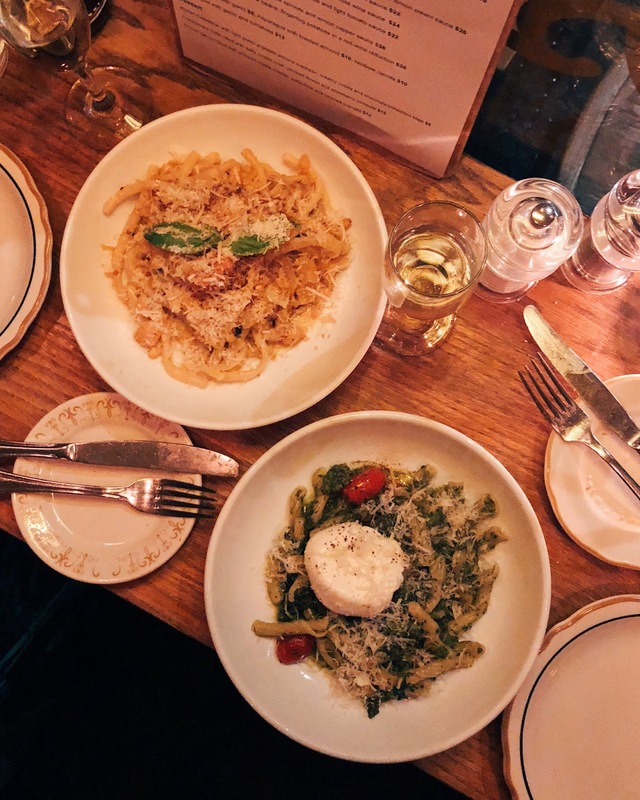 Pastai - Another place that we hadn't actually looked at going to was Pastai, but upon passing it on our first day, we wanted to make time for this spot as the menu sounded sensational. It was one of our finer evenings, if you'd like to call it that, and making a proper night of it, was also one of my favourite nights of our trip. 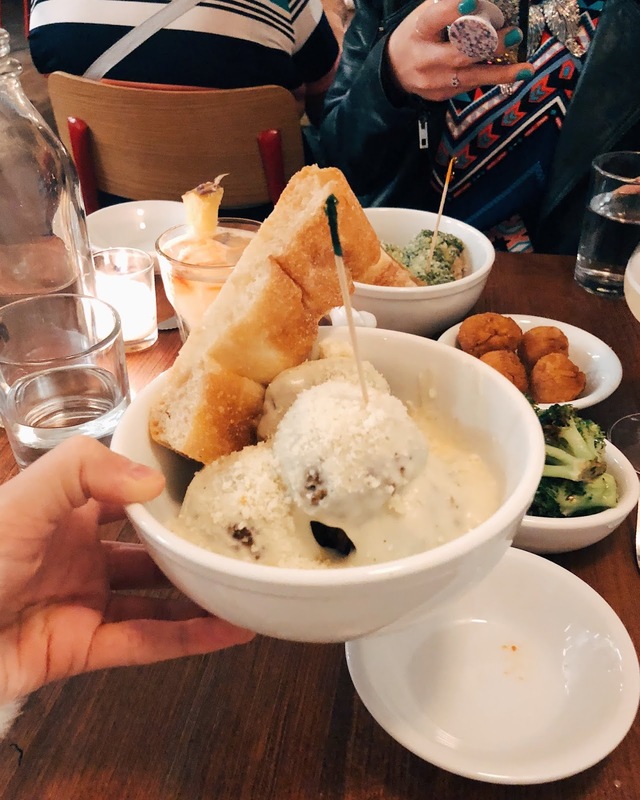 We sat on the stools by the window, watching the world go by as we laughed and talked, and ordered starters such as Fried Olives filled with Pecorino Cheese and pasta dishes topped with Burrata and Caulifower Saffron Ragu. And we drank a whole lot of prosecco. And then we debated coming here every night for the rest of the trip, because pasta is life. And this pasta was really really good. Definitely add this to your list. 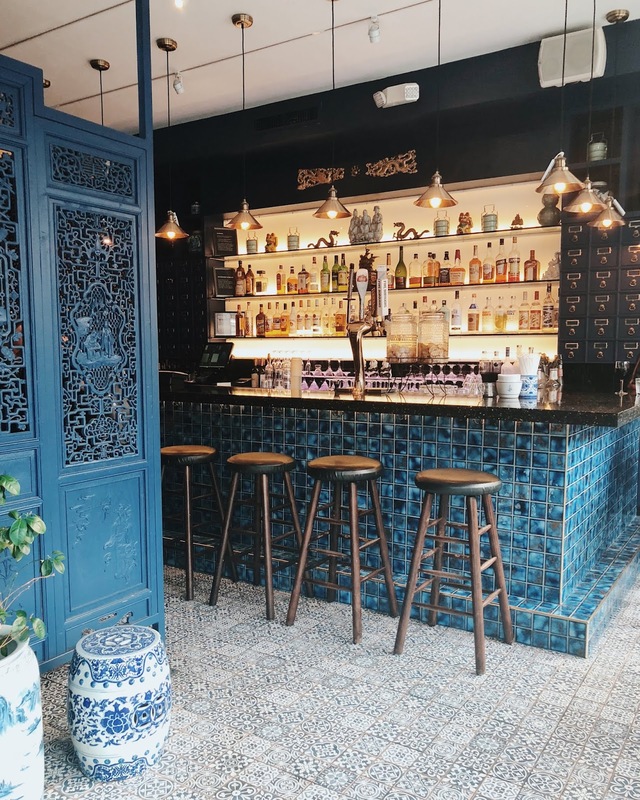 QI - We'd walked past QI most mornings, and admired their tiles and doors but never ventured in until our last day, when we knew we needed to grab something to eat close by before heading to the airport. And I'm glad we did actually. 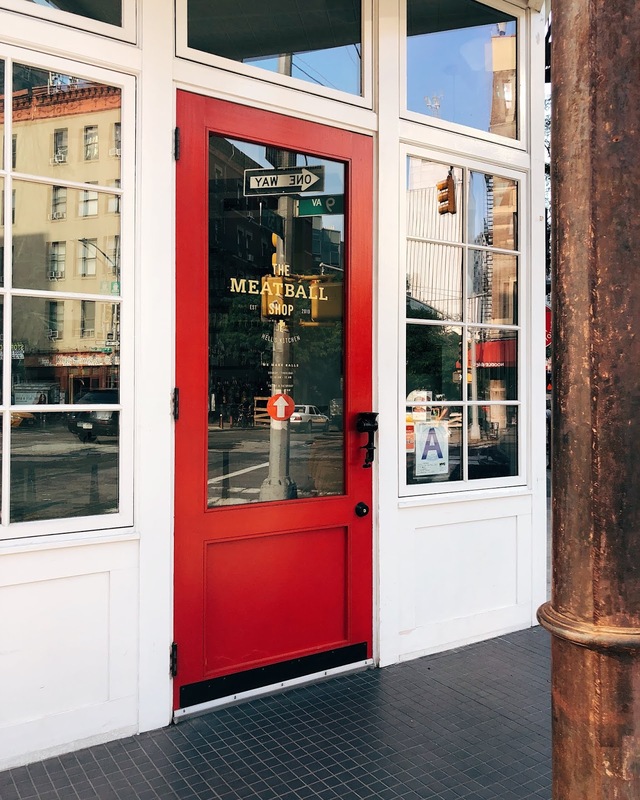 Being in the Hells Kitchen area, we literally felt so lucky that we got to try some amazing places (that weren't recommended on Instagram too!! ), and this was a nice little way to end our trip. The starters were mourish, and the Pad Thai was a winner. Also, I know we can't eat them, but honestly, those tiles are a bit lovely aren't they? But if that's what sways me to try somewhere, then so be it! Brooklyn Roasting Company - It was a really hot day, and we'd walked from Central Park all the way down to Brooklyn. And we were about to walk to Williamsburg, so we wanted coffee. Cold coffee. We found Brooklyn Roasting Company just by the water. 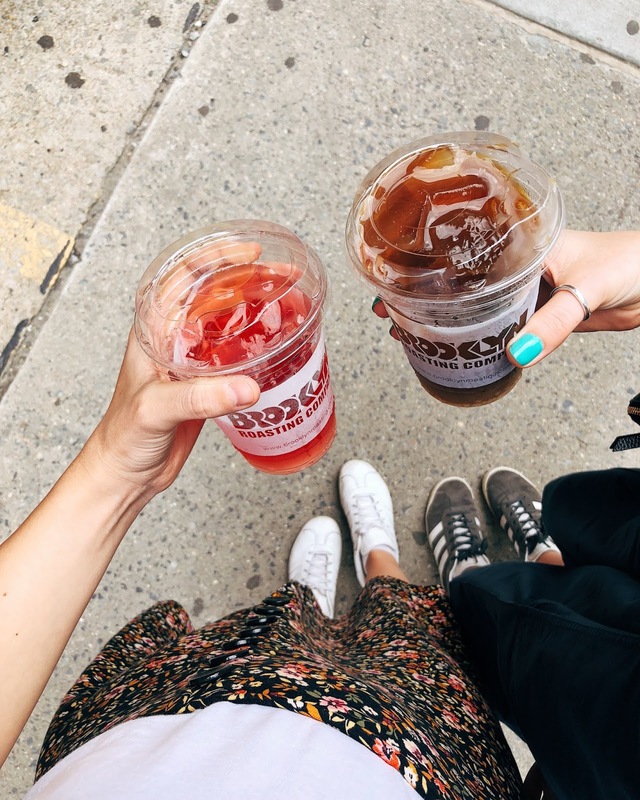 Chloe ordered one and said it was super delicious, and I opted for a raspberry iced tea which was refreshing and just the liquid we needed to get us through another 10k steps. 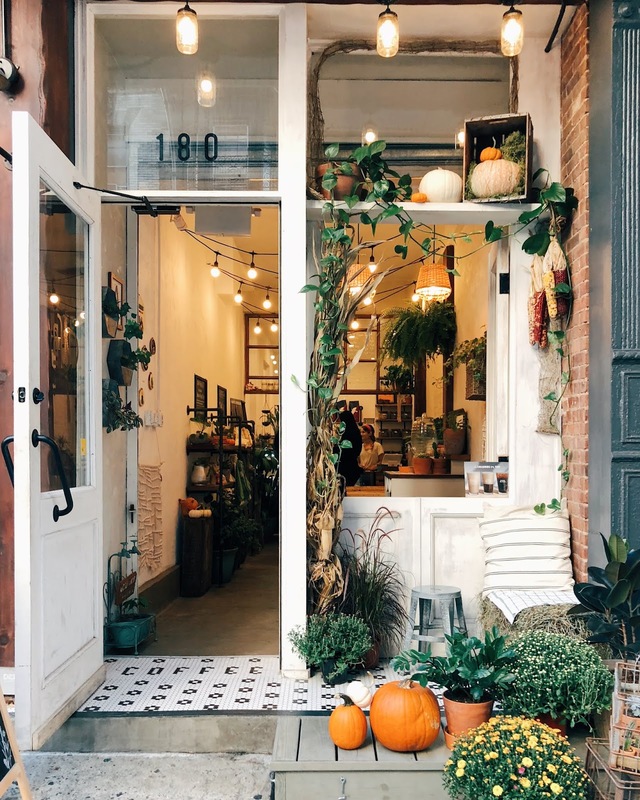 The location is also right next to DUMBO, so has a really cool relaxed vibe, full of quirky folk, and a whole host of laptop clubbers. The Wild Son - We stumbled across The Wild Son as we were about to walk The High Line. Ideally, we should have stayed for lunch because the plates looked amazing, but we'd filled ourselves up on breakfast (as usual!) so we settled ourselves down by the window for a coffee and peppermint tea and embraced a slower pace that day. 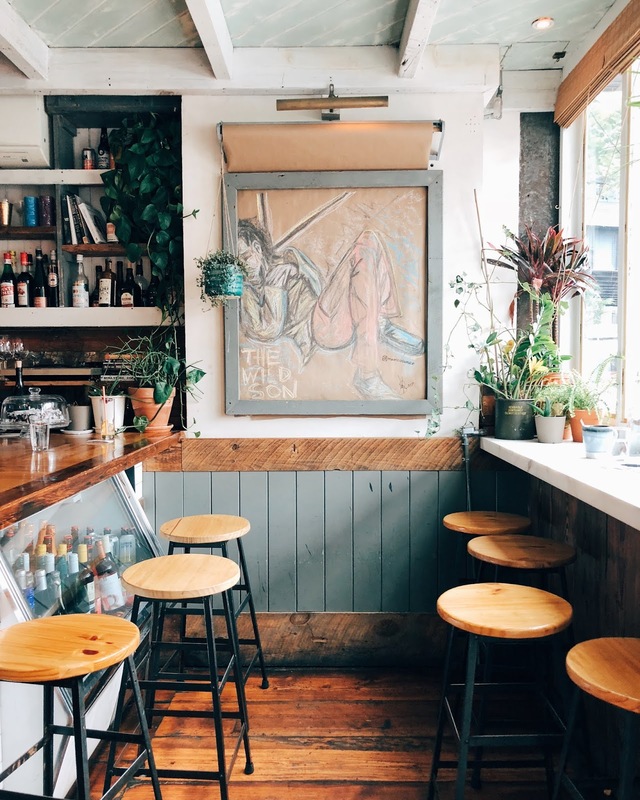 It was a really buzzing lunch spot, which attracted loads of locals catching up with friends, or grabbing a solo lunch. 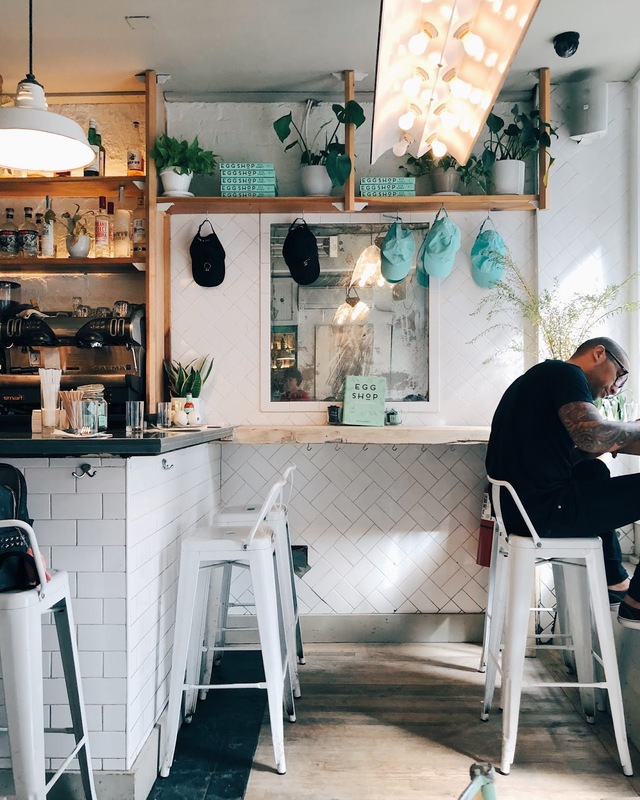 The staff were polite, and the atmosphere was chilled and warm. It was nice. Birch Coffee - Let me tell you a little something, if you're like me and not really a coffee drinker (makes me ill FYI), then you may struggle with the tea. I'm not really sure if New Yorkers get the same tea we do, but whenever I'd ask for milk, I'd either be met with a strange look or some frothy milk that almost resembled a latte, but tea. HOWEVER saying that, Birch Coffee came up the best, making the most British tea I'd had all week. 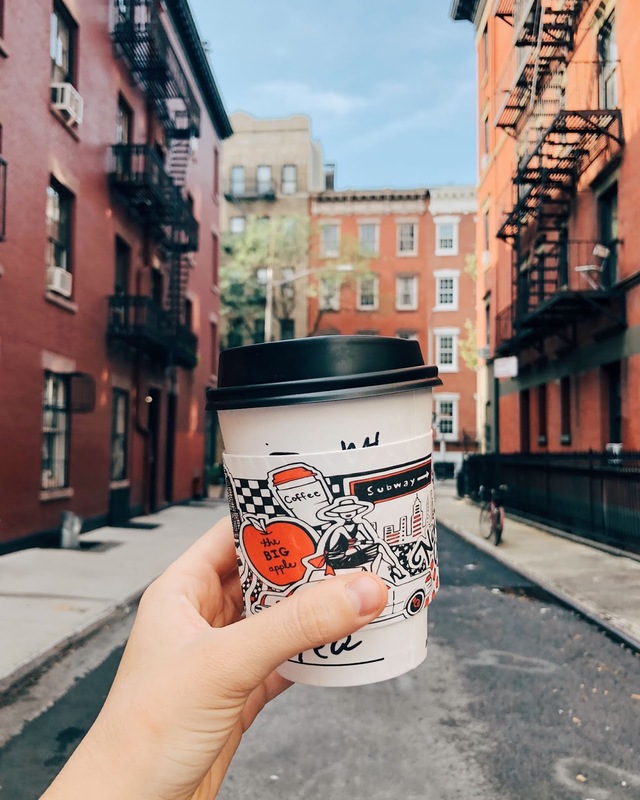 And what's better, it was around the corner from our hotel, so was the perfect little coffee/tea stop to kick start our busy day ahead. 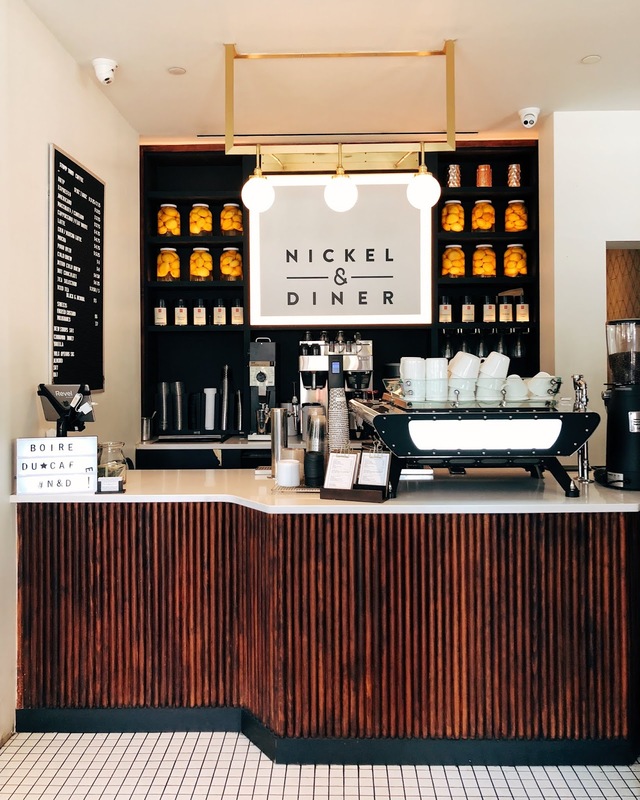 Nickel & Diner - I mentioned about Nickel & Diner for food, but it's also a great place to grab a coffee. 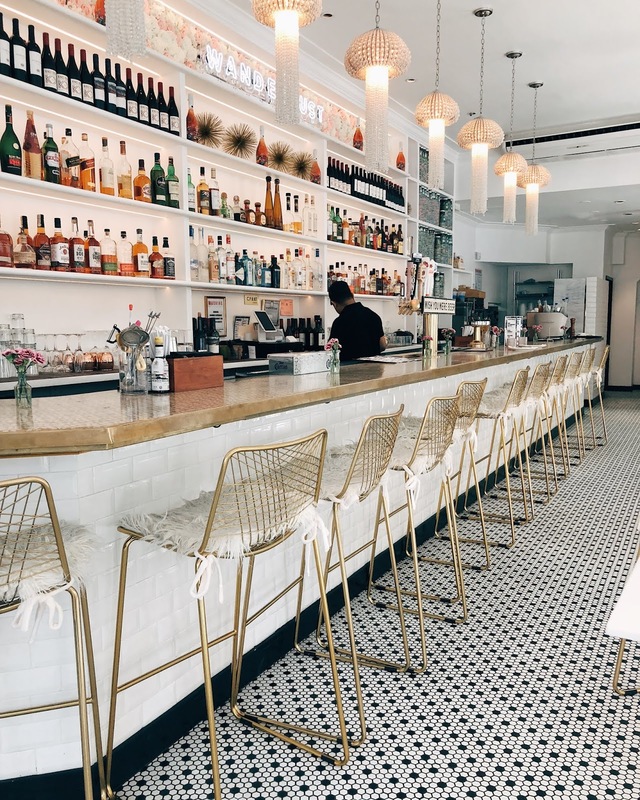 Not only do they have the diner area, but you can order coffee from the separate coffee counter, and settle into one of the bar stools or grab it to go. Again, the staff are really friendly here, and yes, dare I say it, Nickel & Diner is very Instagrammable. 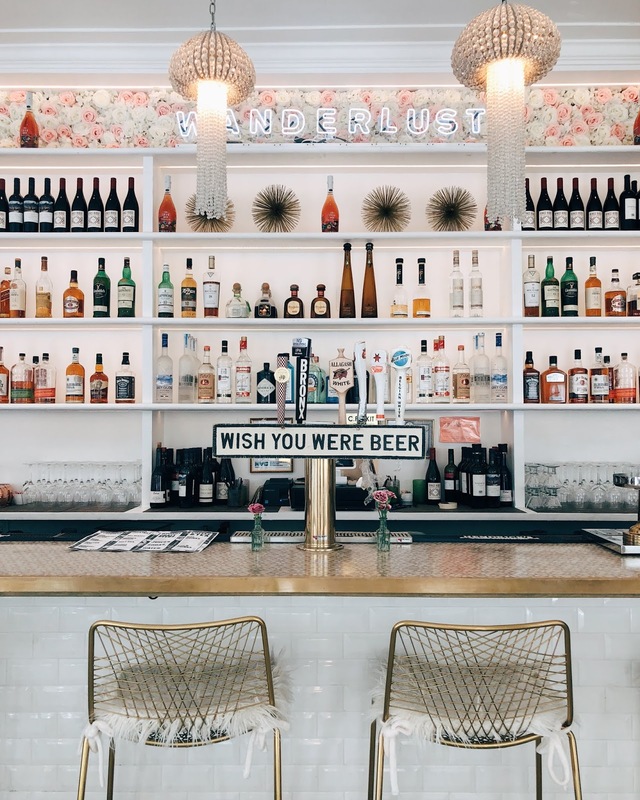 Wanderlust - I couldn't not mention Wanderlust again, because even if you don't eat, there's still an amazing bar to grab a few drinks at. There was a great selection of cocktails on offer too, and although we visited one lunchtime, I reckon it gets pretty lively on an evening. 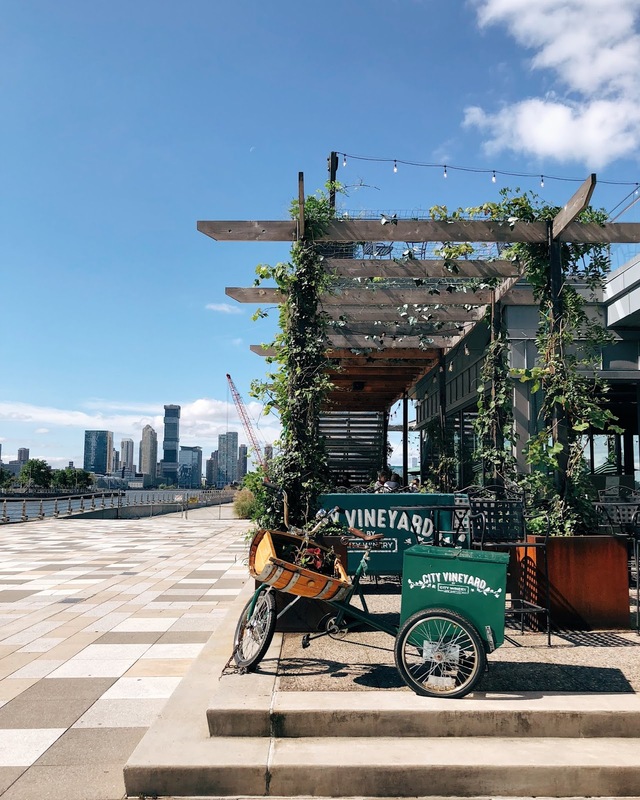 City Vineyard - Once we'd strolled through Wall Street and Battery Park, we ambled up towards City Vineyard as it looked like a perfect spot to see New Jersey from. The whole walk up was gorgeous, and actually completely not what we expected, so I'd definitely recommend a walk up this way. We sat on the terrace with a chilled glass of rose in the sun, and honestly, we could have stayed longer. It seems to be a busy place once the workers are finished and I reckon on the weekends, it's a completely vibrant and buzzing place! Refinery Rooftop - On our search for rooftops, Refinery Rooftop kept popping up and so it was only right that we gave it a visit. We couldn't get a table as the reservations list was nearly two hours wait, but we grabbed ourselves a drink at the bar and headed towards the terrace to stand. It was certainly one of the finer places that we'd been too, and was lovely to see some sights such as the Empire State Building especially as the sun began setting. 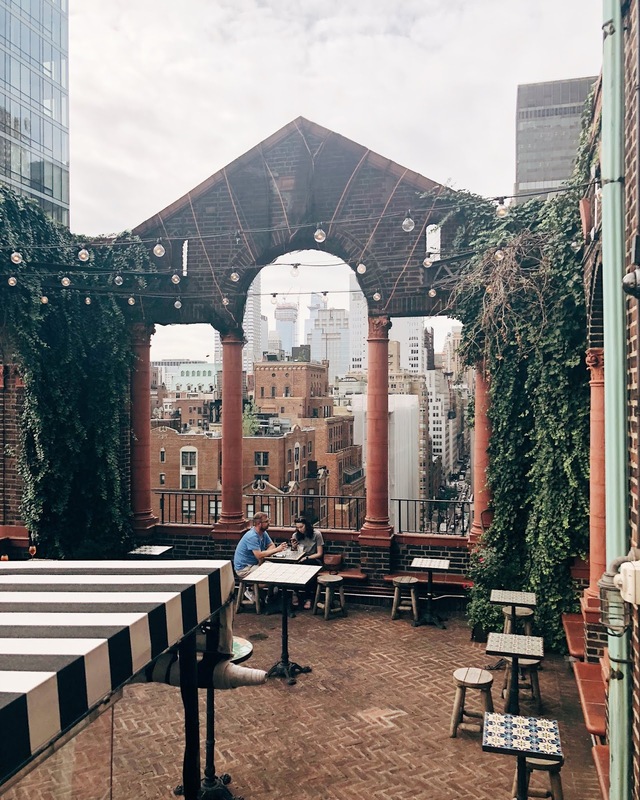 For us, it wasn't our favourite place (it didn't help that we were constantly getting frowned upon by some city men), but for views, and maybe on a quieter afternoon it's worth at least one drink. Salvation Taco - Of course, another mention for Salvation Taco for being our favourite of the rooftops that we visited. 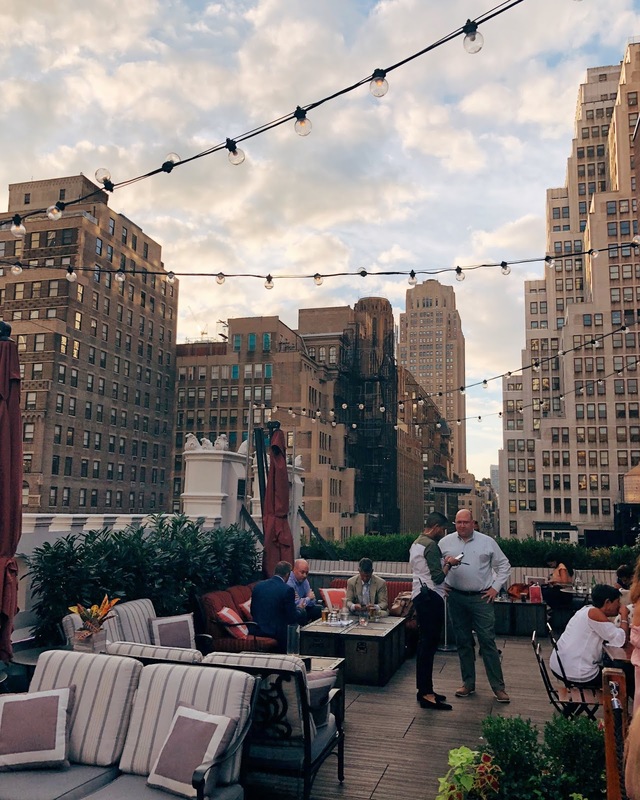 It's a really cool spot, and the perfect place to watch as the sun sets over the city. Because it was such a nice day, we ordered ourselves Aperol (I'm fairly sure that's what we drank most of), but the rest of the drink menu looked pretty tasty. I think you could easily spend a long evening here. I mean, why wouldn't you want to? So basically, the food and drink in New York did not disappoint one bit. And I'm already planning my trip back, just so I can eat some more of the good foods. Including THAT bagel. Oh and those pasta dishes. Actually, all of it. And more this time.